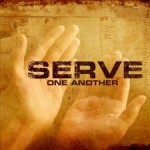 We have all been given special gifts from God in order to serve Him and each other. At Belvoir, we have lots of ministries that offer the opportunity for us to share these diverse talents. Are you a “people person”? Be a volunteer with Lunch Bunch. Are you handy around the house? You could help from time to time with odd jobs around the church. Do you enjoy singing? Help lead the worship service by joining the choir. Do you have a passion for children to learn more about Jesus? Join our Sunday school team. Whatever your gift, there is a ministry that will allow you to share the talents you have been blessed with to serve God, your church and the local Belvoir community while sharing in fellowship with our church family. Have a wee look over the variety of ministries listed on this page. There is something for everyone, big or small! If you need help deciding which ministries to get involved with, follow this link to the Spiritual Gifts online test. Do you have a heart for young people? Would you like to be a positive influence in the lives of the young people at Belvoir? The Youth volunteers would love you to join their team. There are opportunities on Sunday mornings with the Youth Group, Sunday evenings with the Youth Fellowship and 5-a-side football on Wednesday evenings. Contact Jeremy Mould for more details. Do you enjoy teaching children about Jesus? Would you like to be a part of children exploring their faith? If you would like to become a teacher or helper on a rota please contact Jacqueline Mould for more information. Could you support the leaders, once or twice a month? Help is needed to assist the Pre-school(3&4 year olds) Sunday Group leaders. Helpers would be working with the group by assisting with crafts and other activities. See Jacqueline for more details. Do you enjoy being with young children and babies? Are you responsible and trustworthy? You do not have to be a parent of a baby or young child to help out – in fact, Grandparents would be most welcome! You will be on a rota so it is not a weekly commitment. Contact Emma Smith for further details. Would you enjoy making and serving tea and coffee to provide people with an opportunity to catch up with friends and make new ones over a cup of coffee on a Sunday morning. Apart from knowing that you have made a valuable contribution to creating community in church, you will also get to meet lots of people you don’t know and be able to chat with them. Contact Ken Wilson for more details. Are you free on Wednesdays from noon to 1.30pm? Why not come along to help make sandwiches or could you offer a lift for someone to come along from Taylor Court? If you are unavailable on Wednesdays but can maybe provide a cake etc, it would be greatly appreciated. See Joan McClelland for more details. If you would like to pick up an extra tin or two during your weekly food shop, we collect non-perishable food at both doors weekly and distributed to people in need. Or would like to join the team who sorts the food and distributes it? See Carson Bell for more details. Do you have a spare Thursday evening each month? Volunteers will take turns reading scripture, poetry, short stories to older people who are no longer able to read. (Taylor Court is just off the main A55 road opposite Milltown) The reading evenings include volunteers reading a small passage for an estimated 5-10 mins at a time. This ministry is for all ages. It is a great opportunity for families. The residents also enjoy when some of the volunteers have brought along their musical instruments to play a song for them. There are also residents in Taylor Court that would love to come along to Lunch Bunch but need a lift. If you would like to help, please see Wendy Lewis or Carson Bell for more details. Do you like to sing? Everyone who enjoys singing is welcome to join our choir. Rehearsals are Wednesdays at 8.15pm. Contact Geoffrey Cherry for more information. Do you would like to read? Sunday morning readers are a valuable part of our worship service. Lay people read the Old Testament lesson and the epistle (letter from New Testament). Reading scripture is for all ages. Contact Tom or Jacqueline if you would like to join the team. Are you a techie? Do you like to move switches? Would you like to join the Sound team for the 11am service? Training is provided. Do you have a passion for prayer? Would you like to lead the Prayers of the People during the 11am service or pray with people during our Healing services? Contact Tom or Jacqueline for more information. Are you willing to pray whenever a need arises -day or night? Would you like to become a Belvoir Prayer Chain Warrior? You can sign-up here. If you have a prayer request for yourself or others, please email office@belvoirparish.co.uk Requests can be anonymous – God knows who we are praying for! There are many more areas besides those listed above so please let one of the clergy know if you would like to become more involved within the Belvoir family.